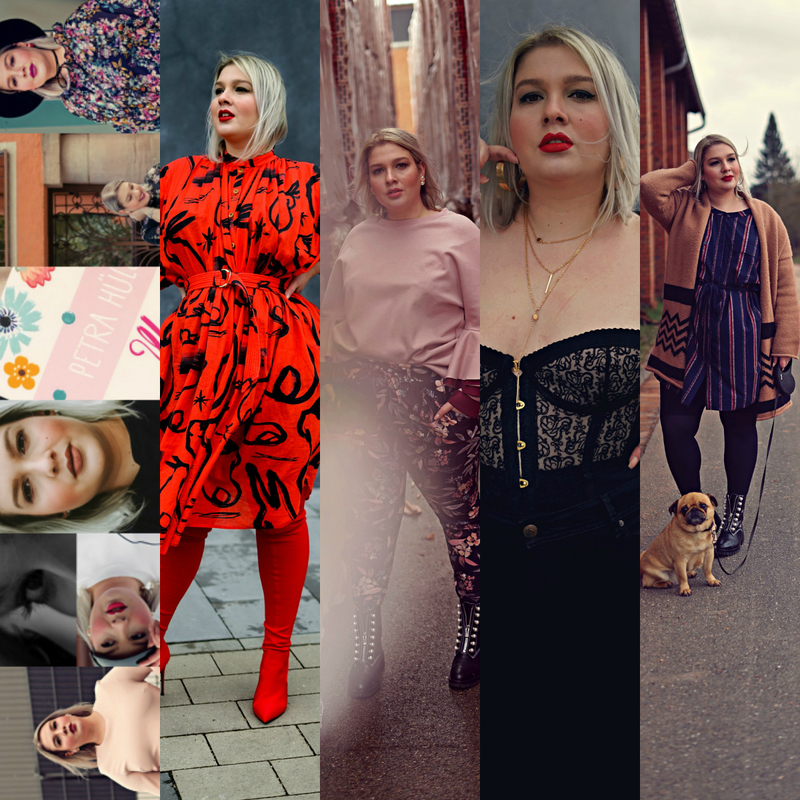 First, there was an event in Munich, the “About You Awards” – they were pretty interesting, as well as disappointing for the plus-size community, because we were only 3 official plus-size bloggers at the event and none of us was nominated in their social media categories. Two fellow bloggers, → Tanja and → Jules, decided to do a movement against this obvious ignorance called #WhatAboutUs? and so many people joined us. I also posted two pictures on Instagram, talking about how sad this is. You can find them → here and → here. I’m not expecting to be invited again next year, since I’m pretty sure that the promoters of this event are not happy with a guest talking about this while being there, but I’m fine with that, as long as there’ll be a change! It just can’t be that there’s an award show for “all things social media” (actually, there were a lot of categories missing, if you ask me), but there’s not one single plus-sized person at least nominated beforehand. We’re not asking for an extra category (cause that’d be kinda wrong as well), but there should be an acknowledgement of what “we” are doing, too! Then, I’ve checked off yet another point from my → #SingleBucketList2018, yay! I went to the cinema alone and watched one of the most beautiful movies I’ve ever seen – “Call me by your name” (watch the trailer → here). I even loved it that much that I saw it a second time while in Hamburg, because I wanted to see the original version in English. And I’m currently reading the book. :) As you know, I love Sufjan Stevens – my latest tattoo is a quote from one of his songs – and I really loved → “Mystery of Love”, that’s why I wanted to see the movie! And now I’m super thankful for the experience of doing this on my own. Another thing I can do alone! BOOM! Friends. I didn’t spend one day alone and enjoyed it so much. I met old friends and new friends, made a great new friendship and enjoyed absolute quality time with all of them! The Harbor. If there’s a happy place for me in Hamburg, it’s the harbor. I love spending time at or on the river Elbe, especially when there’s such a great weather. I love feeling the wind on my skin, in my hair, in my face. It just makes me genuinely happy. And a Krabbenbrötchen at Brücke 10. Even though it costs a fortune. Food & Drinks. Well, I didn’t eat that much, cause the warm temperatures make me a little nauseous, but the food I had was AMAZING. And of course, I went out for drinks with my besties and really enjoyed life to the fullest. Walking. Like, a lot of walking. But I love it! It’s so easy to go for a walk in Hamburg, especially through the city or all those beautiful parks! New places and new things. After all those years (drama! ), I finally visited the Elbphilharmonie! And did something, no Hamburger really would recommend: Reeperbahn on Friday night. But it was so much fun! Even though it’s horribly packed, haha! Das klingt nach einem schönen Monat, auch wenn das Event in München eher frustrierend war. Ich gehe übrigens sogar sehr gern allein ins Kino, weil ich es liebe, nach einem guten Film meine Gedanken dazu schweifen zu lassen. Ich mag nach Filmen meist nicht reden, sondern sinnieren. Ab dem nächsten Tag dann kann ich mich aber gut über den Film unterhalten. Schön auch, dass Du in Hamburg warst. Die Elbphilharmonie ist schon toll, mein Liebster und ich waren schon bei zwei Konzerten. Es ist ja leider nicht so leicht, Karten zu ergattern. Aber es lohnt sich, immer mal wieder auf die Webseite zu schauen, ob es noch Karten gibt. Manchmal werden gebuchte Karten zurückgegeben und landen dann wieder im Pool. Aber Freitagnacht auf der Reeperbahn? Nee nee, für mich alte Frau nicht. Das ist mir dann doch zu wuselig. In meiner Wohngegend gibt es viele Restaurants und Kneipen, da kann man auch gut weggehen, und es ist nicht so voll wie auf der Reeperbahn. Na ja, vielleicht verschlägt es dich ja wieder in den Norden. Hamburg ist einfach verdammt schön. Dein Hamburg-Feeling kann ich so gut nachvollziehen! In zwei Wochen bin ich wieder mal da (muss spätestens alle paar Jahre sein). Je öfter man dort ist, desto entspannter kann man es angehen, weil man ja die absoluten Touri-Highlights alle schon kennt und sich Zeit für die “unerforschten” Sachen nehmen kann. Aber der Hafen ist IMMER ein absolutes Must! Ich liebe die Atmosphäre auch so sehr. Und dann die Haifischbar – ist halt eine Institution; das Alte Fischhaus, da gibt’s lecker Fisch zu fairen Preisen. Also, ich sag mal so: Immer eine Reise wert. Nasenspray….oh Mann, in meiner Jugend gab es diese Inhalations Stifte für die Nase, davon war ich abhängig, ich glaube, die sind mittlerweile verboten. Es war schlimm, ohne die konnte ich kaum noch atmen. Daher, ich weiss genau, wie blöd das ist!!! Danke!! ♥ Es ist schon wirklich krass, zurückzuschauen!